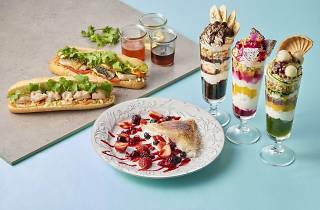 Part of the ever-growing Wired Café family, this new café located at the sixth floor of Shinjuku’s Lumine 1 offers a wide variety of vegan sweets made exclusively from organic ingredients. 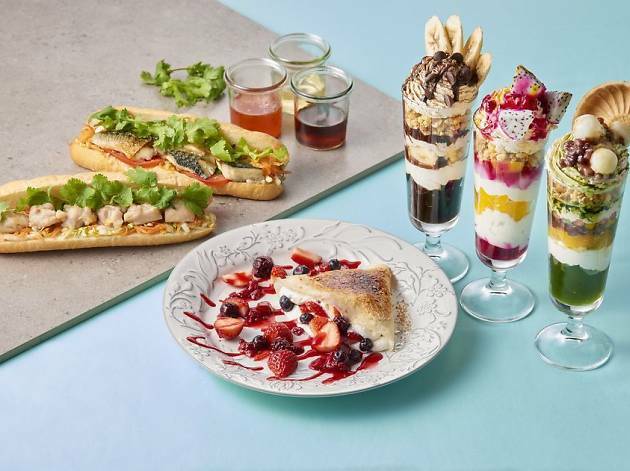 The menu includes their photogenic parfait ‘Bonbon de Cream’ with ice and soy milk whipped cream, a flambéed rice-flour crêpe filled with fruits and the same soy milk whipped cream, as well as an french toast made without eggs or milk. If you’re craving savoury food instead, they offer anything from bánh mì to dry curry made from Okinawan tofu during lunch time.